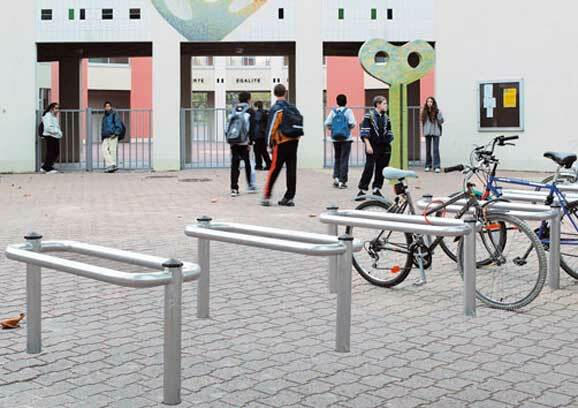 These stands offer the perfect parking facility for bicycles, scooters and motorbikes. To be concreted directly in the ground. Galvanised steel with Mercure black (RAL 9005) painted cast aluminium top cap. 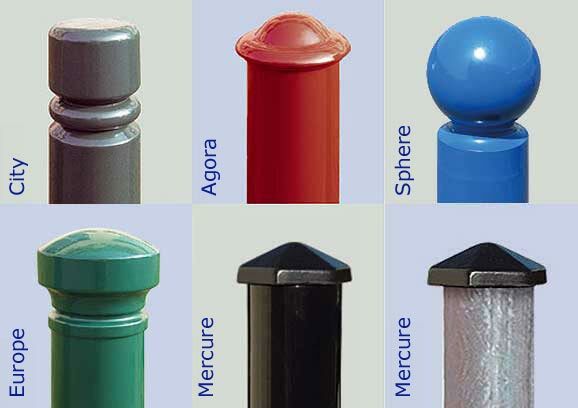 Galvanised, painted in RAL colours, with a choice of 4 top caps: City, Agora, Sphere or Europe. Galvanised or painted in procity RAL colours.